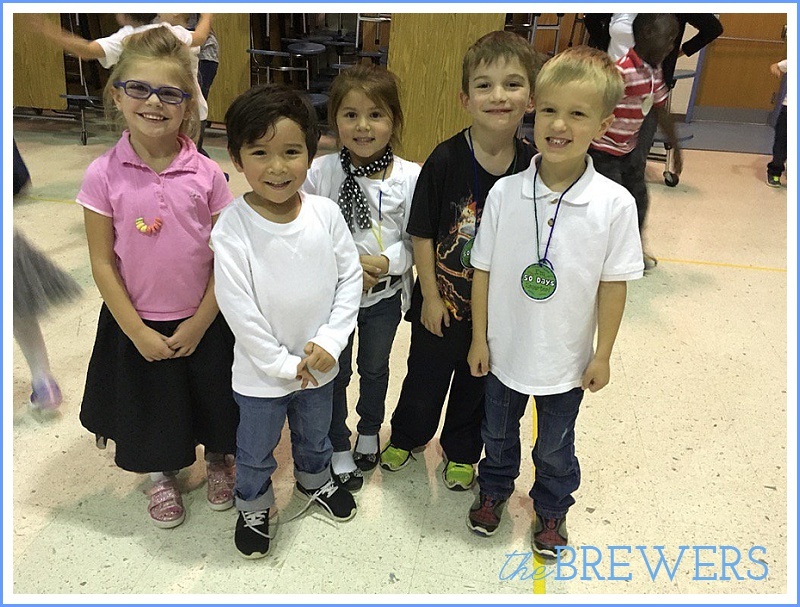 On the 50th day of school, the Kindergarteners had a celebration. 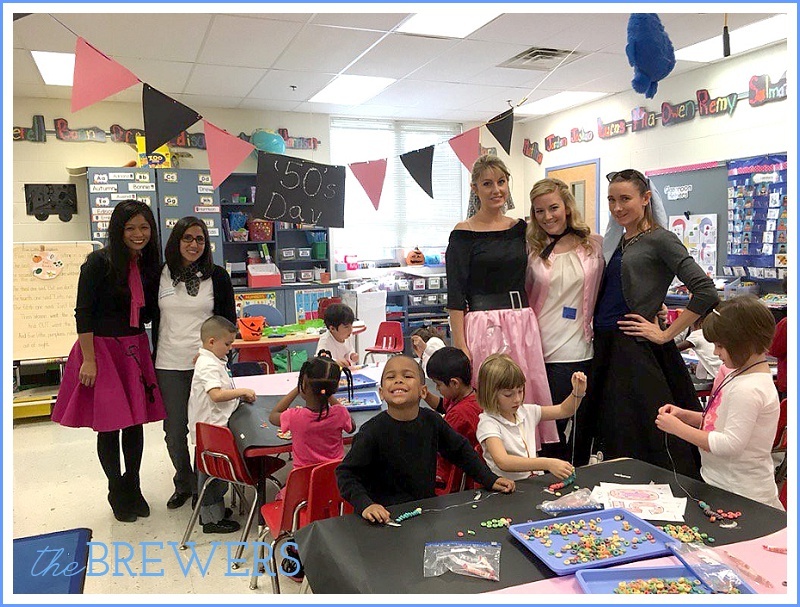 Everyone was encouraged to dress like they were from the 50s (though I don't know if I saw a single boy dressed up...) and each classroom had different activities based around 50 items, 5 groups of 10, etc. Putting the educational spin on it of course! Our costume was incredibly last minute, but I think Autumn pulled it off pretty well! Since I hadn't planned on staying, I didn't dress up. When Autumn's teacher wanted to take a picture of all the parent volunteers for the day, they quickly whipped off their own accessories and made me over so I could be picture perfect! I love all the moms I get to volunteer with! It was such a fun day. We love our school!